An island lifestyle without actually leaving the mainland—this is the unique selling proposition for the homes of Tidy Island in Bradenton. 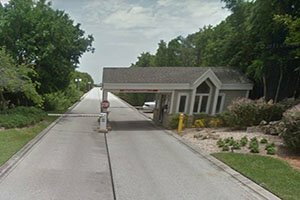 This residential development is located in a peninsula south of Cortez Road West, accessible via 86th Street West past the community of Bay Lake Estates. The home sites of Tidy Island were platted stretching westward fronting Sarasota Bay and backing up to a lush nature preserve. 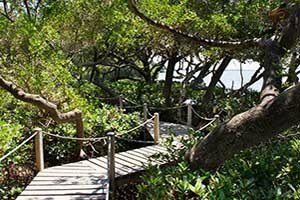 The entire property spreads across 240 acres, with almost 85 percent of it dedicated as a private bird and wildlife sanctuary. 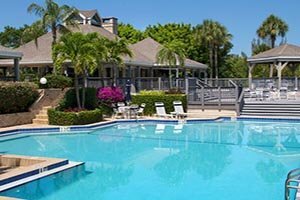 Tidy Island was developed as a gated community secured 24/7, and it was set as a low-density neighborhood of just 96 residences which are truly standouts in the MLS of Bradenton homes for sale. Luxury single family homes located in the bayfront and lakeside condos at relatively easier price points comprise the choices of the residences in Tidy Island. Tidy Island homes for sale impress prospective buyers with their winsome curb appeal aptly complemented by the mature vegetation of the community’s lush and beautiful landscaping. Additionally, various amenities are provided to residents including a lakeside clubhouse with a fitness room. The quality of living within this community is further enhanced by its two swimming pools and hot tubs, two Har-Tru tennis courts, and walking trails and footpaths. All in all, Tidy Island exudes a family-friendly ambience, and pets are welcome here too. The community has a well-managed condominium association, and a full-time property manager, office administrator, and maintenance staff ensure that Tidy Island lives up to the standards its name boldly suggests. At its current zoning, Tidy Island can only be expanded up to a total of 138 residential units. This limit was set, as the property’s coastal preserve is the last untouched stretch of shoreline on the northern side of Sarasota Bay. Moreover, the Tidy Island acreage has historical value having been settled by aboriginal Floridian’s as early as 500 B.C. The community, for this reason, is also host to a museum and an archaeological park. With its zoning limits, Tidy Island has a slim stock from which to contribute to the MLS of Bradenton homes for sale, and hence, its MLS listings tend to come few and far between. Broken down, this community has just 10 single family homes, 16 duplex buildings totaling 32 units, and five lakeside condominium buildings with 20 units. Bayfront single family homes in Tidy Island can command pricing at close to the $2 million level. At this price point, a build could feature five bedrooms, four baths and a half bath within a floor area of about 5,600 square feet. The price range eases for Tidy Island condos for sale at between the $300s and the $600s. These residences typically feature three bedrooms and two baths with floor plans measuring between 1,950 and 2,750 square feet. Besides its unique residential features, Tidy Island is a market standout because of its proximity to road corridors opening gateways to the life and leisure centers of Bradenton and Sarasota. These nearby portals include not only Cortez Road West but also the El Conquistador Parkway toward the east, portals which help West Bradenton homes for sale draw market interest. Below are the current real estate listings available in Tidy Island.